March 14, 1879, Ulm, Germany, 11:30 PM. (Source: Birth Record as quoted by Ebertin) Died, April 18, 1955, Princeton, New Jersey, USA. Mathematician, physicist, who founded theory of relativity (1905) and general theory (1916). Awarded the 1921 Nobel Peace Prize for contributions to theoretical physics, especially for the discovery of photo-electric effect law. (Source: Birth Registration) (Ascendant, Cancer; Sun in Pisces; Mercury conjunct Saturn in Aries; Moon in Sagittarius; Mars in Capricorn: Jupiter in Aquarius; Uranus in Virgo as a singleton in H3; Neptune and Pluto in Taurus). Significant twentieth century personality in both science and politics, Einstein founded the Theory of Special Relativity in 1905 . He was awarded the Nobel prize for physics in 1921. He moved to California in 1930, and later worked at the Institute of Advanced Study, Princeton. Einstein wrote to President Roosevelt of the implications of uranium fission, influencing the wartime atomic bomb project. He later made efforts to prevent the use of the bomb and campaigned for nuclear disarmament. He died on 18 April 1955, Princeton, New Jersey. Pisces frequently indicates the whole in summation. Einstein's work re-conditioned the world view of global civilization. The conscious mind of the human race could no longer be the same after the Einsteinian awakening - indicated, further, by the presence of the Awakener, Uranus, in the third house of mind. (All this needs further work). (Do you believe in immortality?) No, and one life is enough for me. On the other hand, the concept owes its meaning and its justification exclusively to the totality of the sense impressions which we associate with it. The more success the quantum theory has, the sillier it looks. (March 14, 1879 – April 18, 1955) was a German-born theoretical physicist widely known as one of the greatest physicists of all time. He formulated the special and general theories of relativity. In addition, he made significant advancements to quantum theory and statistical mechanics. While best known for the Theory of Relativity (and specifically mass-energy equivalence, E=mc2), he was awarded the 1921 Nobel Prize for Physics for his 1905 (his "wonderful year" or "miraculous year") explanation of the photoelectric effect and "for his services to Theoretical Physics". In popular culture, the name "Einstein" has become synonymous with great intelligence and genius. Einstein was born on March 14, 1879, around 11:30 AM LMT, to a Jewish family, in the city of Ulm in Württemberg, Germany, about 100 km east of Stuttgart. His father was Hermann Einstein, a salesman who later ran an electrochemical works, and his mother was Pauline née Koch. They were married in Stuttgart-Bad Cannstatt. At his birth, Albert's mother was reputedly frightened that her infant's head was so large and oddly shaped. 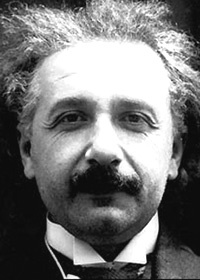 Though the size of his head appeared to be less remarkable as he grew older, it's evident from photographs of Einstein that his head was disproportionately large for his body throughout his life, a trait regarded as "benign macrocephaly" in large-headed individuals with no related disease or cognitive deficits. Albert's family members were all non-observant Jews and he attended a Catholic elementary school. At the insistence of his mother, he was given violin lessons. Though he initially disliked the lessons, and eventually discontinued them, he would later take great solace in Mozart's violin sonatas. When Einstein was five, his father showed him a small pocket compass, and Einstein realized that something in "empty" space acted upon the needle; he would later describe the experience as one of the most revelatory events of his life. He built models and mechanical devices for fun and showed great mathematical ability early on. In 1889, a medical student named Max Talmud (later: Talmey), who visited the Einsteins on Thursday nights for six years, introduced Einstein to key science and philosophy texts, including Kant's Critique of Pure Reason. Two of his uncles would further foster his intellectual interests during his late childhood and early adolescence by recommending and providing books on science, mathematics and philosophy. Einstein attended the Luitpold Gymnasium, where he received a relatively progressive education. He began to learn mathematics around age twelve; in 1891, he taught himself Euclidean plane geometry from a school booklet and began to study calculus four years later; Einstein realized the power of axiomatic deductive reasoning from Euclid's Elements, which Einstein called the "holy little geometry book" (given by Max Talmud). While at the Gymnasium, Einstein clashed with authority and resented the school regimen, believing that the spirit of learning and creative thought were lost in such endeavors as strict memorization. In 1894, following the failure of Hermann Einstein's electrochemical business, the Einsteins moved from Munich to Pavia, a city in Italy near Milan. Einstein's first scientific work, called "The Investigation of the State of Aether in Magnetic Fields", was written contemporaneously for one of his uncles. Albert remained behind in Munich lodgings to finish school, completing only one term before leaving the gymnasium in the spring of 1895 to rejoin his family in Pavia. He quit a year and a half prior to final examinations without telling his parents, convincing the school to let him go with a medical note from a friendly doctor, but this meant that he had no secondary-school certificate. That year, at the age of 16, he performed the thought experiment known as "Albert Einstein's mirror". After gazing into a mirror, he examined what would happen to his image if he were moving at the speed of light; his conclusion, that the speed of light is independent of the observer, would later become one of the two postulates of special relativity. Although he excelled in the mathematics and science part of entrance examinations for the Federal Polytechnic Institute in Zürich, today the ETH Zürich, his failure of the liberal arts portion was a setback; his family sent him to Aarau, Switzerland to finish secondary school, and it became clear that he was not going to be an electrical engineer as his father intended for him. There, he studied the seldom-taught Maxwell's electromagnetic theory and received his diploma in September 1896. During this time, he lodged with Professor Jost Winteler's family and became enamoured with Sofia Marie-Jeanne Amanda Winteler, commonly referred to as Sofie or Marie, their daughter and his first sweetheart. Einstein's sister, Maja, who was perhaps his closest confidant, was to later marry their son, Paul, and his friend, Michele Besso, married their other daughter, Anna. Einstein subsequently enrolled at the Federal Polytechnic Institute in October and moved to Zürich, while Marie moved to Olsberg, Switzerland for a teaching post. The same year, he renounced his Württemberg citizenship. In the spring of 1896, the Serbian Mileva Maric started initially as a medical student at the University of Zürich, but after a term switched to the Federal Polytechnic Institute to study as the only woman that year for the same diploma as Einstein. Maric's relationship with Einstein developed into romance over the next few years, though his mother would cry that she was too old, not Jewish, and physically defective. In 1900, Einstein was granted a teaching diploma by the Federal Polytechnic Institute. Einstein then submitted his first paper to be published, on the capillary forces of a drinking straw, titled "Folgerungen aus den Capillaritätserscheinungen", which translated is "Consequences of the observations of capillarity phenomena" (found in "Annalen der Physik" volume 4, page 513). In it, he tried to unify the laws of physics, an attempt he would continually make throughout his life. Through his friend Michele Besso, an engineer, Einstein was presented with the works of Ernst Mach, and would later consider him "the best sounding board in Europe" for physical ideas. During this time, Einstein discussed his scientific interests with a group of close friends, including Besso and Maric. The men referred to themselves as the "Olympia Academy". Einstein and Maric had a daughter out of wedlock, Lieserl Einstein, born in January 1902. Her fate is unknown; some believe she died in infancy, while others believe she was given out for adoption. Einstein in 1905, when he wrote the "Annus Mirabilis Papers"Einstein could not find a teaching post upon graduation, mostly because his brashness as a young man had apparently irritated most of his professors. The father of a classmate helped him obtain employment as a technical assistant examiner at the Swiss Patent Office in 1902. There, Einstein judged the worth of inventors' patent applications for devices that required a knowledge of physics to understand — in particular he was chiefly charged to evaluate patents relating to electromagnetic devices. He also learned how to discern the essence of applications despite sometimes poor descriptions, and was taught by the director how "to express [him]self correctly". He occasionally rectified their design errors while evaluating the practicality of their work. Einstein married Mileva Maric on January 6, 1903. Einstein's marriage to Maric, who was a mathematician, was both a personal and intellectual partnership: Einstein referred to Mileva as "a creature who is my equal and who is as strong and independent as I am". 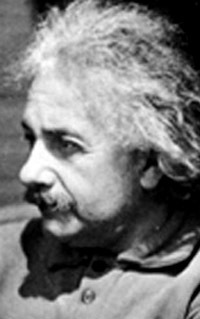 Ronald W. Clark, a biographer of Einstein, claimed that Einstein depended on the distance that existed in his marriage to Mileva in order to have the solitude necessary to accomplish his work; he required intellectual isolation. Abram Joffe, a Soviet physicist who knew Einstein, wrote in an obituary of him, "The author of [the papers of 1905] was… a bureaucrat at the Patent Office in Bern, Einstein-Maric" and this has recently been taken as evidence of a collaborative relationship. However, according to Alberto A. Martínez of the Center for Einstein Studies at Boston University, Joffe only ascribed authorship to Einstein, as he believed that it was a Swiss custom at the time to append the spouse's last name to the husband's name. The extent of her influence on Einstein's work is a controversial and debated question. In 1903, Einstein's position at the Swiss Patent Office had been made permanent, though he was passed over for promotion until he had "fully mastered machine technology". He obtained his doctorate under Alfred Kleiner at the University of Zürich after submitting his thesis "A new determination of molecular dimensions" ("Eine neue Bestimmung der Moleküldimensionen") in 1905. During 1905, in his spare time, he wrote four articles that participated in the foundation of modern physics, without much scientific literature to which he could refer or many scientific colleagues with whom he could discuss the theories. Most physicists agree that three of those papers (on Brownian motion, the photoelectric effect, and special relativity) deserved Nobel Prizes. Only the paper on the photoelectric effect would be mentioned by the Nobel committee in the award; at the time of the award, it had the most unchallenged experimental evidence behind it, although the Nobel committee expressed the opinion that Einstein's other work would be confirmed in due course. Some might regard the award for the photoelectric effect ironic, not only because Einstein is far better-known for relativity, but also because the photoelectric effect is a quantum phenomenon, and Einstein became somewhat disenchanted with the path quantum theory would take. Einstein submitted this series of papers to the "Annalen der Physik". They are commonly referred to as the "Annus Mirabilis Papers" (from Annus mirabilis, Latin for 'year of wonders'). The International Union of Pure and Applied Physics (IUPAP) commemorated the 100th year of the publication of Einstein's extensive work in 1905 as the 'World Year of Physics 2005'. The first paper, named "On a Heuristic Viewpoint Concerning the Production and Transformation of Light", ("Über einen die Erzeugung und Verwandlung des Lichtes betreffenden heuristischen Gesichtspunkt") was specifically cited for his Nobel Prize. In this paper, Einstein extends Planck's hypothesis (E = h?) of discrete energy elements to his own hypothesis that electromagnetic energy is absorbed or emitted by matter in quanta of h? (where h is Planck's constant and ? is the frequency of the light), proposing a new law to account for the photoelectric effect, as well as other properties of photoluminescence and photoionization. In later papers, Einstein used this law to describe the Volta effect (1906), the production of secondary cathode rays (1909) and the high-frequency limit of Bremsstrahlung (1911). Einstein's key contribution is his assertion that energy quantization is a general, intrinsic property of light, rather than a particular constraint of the interaction between matter and light, as Planck believed. Another, often overlooked result of this paper was Einstein's excellent estimate (6.17 1023) of Avogadro's number (6.02 1023). However, Einstein does not propose that light is a particle in this paper; the "photon" concept was not proposed until 1909 (see below). His second article in 1905, named "On the Motion—Required by the Molecular Kinetic Theory of Heat—of Small Particles Suspended in a Stationary Liquid", ("Über die von der molekularkinetischen Theorie der Wärme geforderte Bewegung von in ruhenden Flüssigkeiten suspendierten Teilchen") covered his study of Brownian motion, and provided empirical evidence for the existence of atoms. Before this paper, atoms were recognized as a useful concept, but physicists and chemists hotly debated whether atoms were real entities. Einstein's statistical discussion of atomic behavior gave experimentalists a way to count atoms by looking through an ordinary microscope. Wilhelm Ostwald, one of the leaders of the anti-atom school, later told Arnold Sommerfeld that he had been converted to a belief in atoms by Einstein's complete explanation of Brownian motion. 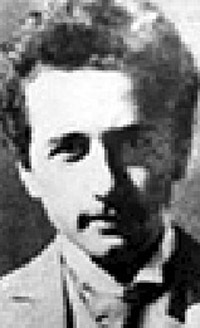 Brownian motion was also explained by Louis Bachelier in 1900. Einstein's third paper that year, "On the Electrodynamics of Moving Bodies" ("Zur Elektrodynamik bewegter Körper"), was published in June 1905. This paper introduced the special theory of relativity, a theory of time, distance, mass and energy which was consistent with electromagnetism, but omitted the force of gravity. While developing this paper, Einstein wrote to Mileva about "our work on relative motion", and this has led some to speculate that Mileva played a part in its development. A few historians of science believe that Einstein and his wife were both aware that the famous French mathematical physicist Henri Poincaré had already published the equations of relativity, a few weeks before Einstein submitted his paper. Most believe their work was independent and varied in many crucial ways, namely, regarding the "ether" (Einstein denied ether, Poincaré considered it superfluous). Similarly, it is debatable if he knew the 1904 paper of Hendrik Antoon Lorentz which contained most of the theory and to which Poincaré referred. 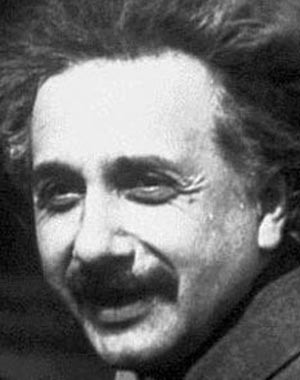 Most historians, however, believe that Einsteinian relativity varied in many key ways from other theories of relativity which were circulating at the time, and that many of the questions about priority stem from the misleading trope of portraying Einstein as a genius working in total isolation. Although Einstein discussed physics with Mileva, there is no solid evidence that she made any significant contribution to his work. In a fourth paper, "Does the Inertia of a Body Depend Upon Its Energy Content? ", ("Ist die Trägheit eines Körpers von seinem Energieinhalt abhängig? "), published late in 1905, he showed that from relativity's axioms, it is possible to deduce the famous equation which shows the equivalence between matter and energy. The energy equivalence (E) of some amount of mass (m) is that mass times the speed of light (c) squared: E = mc2. However, it was Poincaré who in 1900 first published the "energy equation" in slightly different form, namely as: m = E / c2 — see also relativity priority dispute. Einstein at the 1911 Solvay Conference.In 1906, Einstein was promoted to technical examiner second class. In 1908, Einstein was licensed in Bern, Switzerland, as a Privatdozent (unsalaried teacher at a university). During this time, Einstein described why the sky is blue in his paper on the phenomenon of critical opalescence, which shows the cumulative effect of scattering of light by individual molecules in the atmosphere. In 1911, Einstein became first associate professor at the University of Zürich, and shortly afterwards full professor at the German language-section of the Charles University of Prague. While at Prague, Einstein published a paper calling on astronomers to test two predictions of his developing theory of relativity: a bending of light in a gravitational field, measurable at a solar eclipse; and a redshift of solar spectral lines relative to spectral lines produced on Earth's surface. A young German astronomer, Erwin Freundlich, began collaborating with Einstein and alerted other astronomers around the world about Einstein's astronomical tests. In 1912, Einstein returned to Zürich in order to become full professor at the ETH Zürich. At that time, he worked closely with the mathematician Marcel Grossmann, who introduced him to Riemannian geometry. In 1912, Einstein started to refer to time as the fourth dimension (although H.G. Wells had done this earlier, in 1895 in The Time Machine). In 1914, just before the start of World War I, Einstein settled in Berlin as professor at the local university and became a member of the Prussian Academy of Sciences. He took Prussian citizenship. From 1914 to 1933, he served as director of the Kaiser Wilhelm Institute for Physics in Berlin. He also held the position of extraordinary professor at the University of Leiden from 1920 until 1946, where he regularly gave guest lectures. In 1917, Einstein published "On the Quantum Mechanics of Radiation" ("Zur Quantentheorie der Strahlung," Physkalische Zeitschrift 18, 121–128). This article introduced the concept of stimulated emission, the physical principle that allows light amplification in the laser. He also published a paper that year that used the general theory of relativity to model the behavior of the entire universe, setting the stage for modern cosmology. In this work Einstein created the cosmological constant, which he later considered his "biggest blunder". 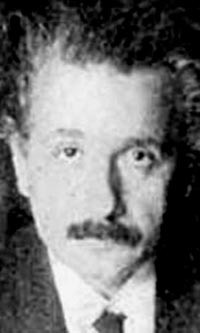 On May 14, 1904, Albert and Mileva's first son, Hans Albert Einstein, was born. Their second son, Eduard Einstein, was born on July 28, 1910. Hans Albert became a professor of hydraulic engineering at the University of California, Berkeley, having little interaction with his father, but sharing his love for sailing and music. Eduard, the younger brother, intended to practice as a Freudian analyst but was institutionalized for schizophrenia and died in an asylum. Einstein divorced Mileva on February 14, 1919, and married his cousin Elsa Löwenthal (born Einstein: Löwenthal was the surname of her first husband, Max) on June 2, 1919. Elsa was Albert's first cousin (maternally) and his second cousin (paternally). She was three years older than Albert, and had nursed him to health after he had suffered a partial nervous breakdown combined with a severe stomach ailment; there were no children from this marriage. "Einstein theory triumphs," declared the New York Times on November 10, 1919. In November 1915, Einstein presented a series of lectures before the Prussian Academy of Sciences in which he described a new theory of gravity, known as general relativity. The final lecture ended with his introduction of an equation that replaced Newton's law of gravity, the Einstein field equation. This theory considered all observers to be equivalent, not only those moving at a uniform speed. In general relativity, gravity is no longer a force (as it is in Newton's law of gravity) but is a consequence of the curvature of space-time. 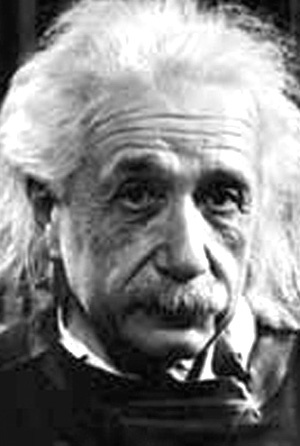 Einstein's published papers on general relativity were not available outside of Germany due to the war. News of Einstein's new theory reached English-speaking astronomers in England and America via Dutch physicists Hendrik Antoon Lorentz and Paul Ehrenfest and their colleague Willem de Sitter, Director of Leiden Observatory. Arthur Stanley Eddington in England, who was Secretary of the Royal Astronomical Society, asked de Sitter to write a series of articles in English for the benefit of astronomers. He was fascinated with the new theory and became a leading proponent and popularizer of relativity. Most astronomers did not like Einstein's geometrization of gravity and believed that his light bending and gravitational redshift predictions would not be correct. In 1917, astronomers at Mt. Wilson Observatory in southern California published results of spectroscopic analysis of the solar spectrum that seemed to indicate that there was no gravitational redshift in the Sun. In 1918, astronomers at Lick Observatory in northern California obtained photographs at a solar eclipse visible in the United States. After the war ended, they announced results claiming that Einstein's general relativity prediction of light bending was wrong; but they never published their results due to large probable errors. In May, 1919 during British solar-eclipse expeditions (carried out in Sobral, Ceará, Brazil, as well as on the island of Principe, at the west coast of Africa) Arthur Eddington supervised measurements of the bending of star light as it passed close to the Sun, resulting in star positions appearing further away from the Sun. This effect is called gravitational lensing and the positions of the stars observed were twice that which would be predicted by Newtonian physics. These observations match that predicted by the Field Equation of general relativity. Eddington announced that the results confirmed Einstein's prediction and The Times reported that confirmation on November 7 of that year, with the headline: "Revolution in science – New theory of the Universe – Newtonian ideas overthrown". Nobel laureate Max Born viewed General Relativity as the "greatest feat of human thinking about nature"; fellow laureate Paul Dirac called it "probably the greatest scientific discovery ever made". These comments and resulting publicity cemented Einstein's fame. He became world-famous – an unusual achievement for a scientist. Many scientists were still unconvinced for various reasons ranging from the scientific (disagreement with Einstein's interpretation of the experiments, belief in the ether or that an absolute frame of reference was necessary) to the psycho-social (conservatism, anti-Semitism). In Einstein's view, most of the objections were from experimentalists with very little understanding of the theory involved. Einstein's public fame which followed the 1919 article created resentment among these scientists, some of which lasted well into the 1930s. On March 30, 1921, Einstein went to New York to give a lecture on his new Theory of Relativity, the same year he was awarded the Nobel Prize. 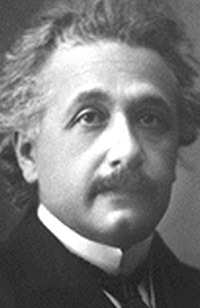 Though he is now most famous for his work on relativity, it was for his earlier work on the photoelectric effect that he was given the Prize, as his work on general relativity was still disputed. The Nobel committee decided that citing his less-contested theory in the Prize would gain more acceptance from the scientific community. Einstein and Niels Bohr sparred over quantum theory during the 1920s. Photo taken by Paul Ehrenfest during their visit to Leiden in December 1925In 1909, Einstein presented a paper (Über die Entwicklung unserer Anschauungen über das Wesen und die Konstitution der Strahlung, available in its English translation The Development of Our Views on the Composition and Essence of Radiation) to a gathering of physicists on the history of aether theories and, more importantly, on the quantization of light. In this and an earlier 1909 paper, Einstein showed that the energy quanta introduced by Max Planck also carried a well-defined momentum and acted in many respects as if they were independent, point-like particles. This paper marks the introduction of the modern "photon" concept (although the term itself was introduced much later, in a 1926 paper by Gilbert N. Lewis). Even more importantly, Einstein showed that light must be simultaneously a wave and a particle, and foretold correctly that physics stood on the brink of a revolution that would require them to unite these dual natures of light. However, his own proposal for a solution — that Maxwell's equations for electromagnetic fields be modified to allow wave solutions that are bound to singularities of the field — was never developed, although it may have influenced Louis de Broglie's pilot wave hypothesis for quantum mechanics. To this, Bohr, who sparred with Einstein on quantum theory, retorted, "Stop telling God what He must do!" The Bohr-Einstein debates on foundational aspects of quantum mechanics happened during the Solvay Conferences. Another important part of Einstein's viewpoint is the famous 1935 paper written by Einstein, Podolsky, and Rosen. Some physicists see this work as further supporting the notion that Einstein was a determinist. …I was unable to recognize Einstein whenever you talked about him in either your letter or your manuscript. It seemed to me as if you had erected some dummy Einstein for yourself, which you then knocked down with great pomp. In particular Einstein does not consider the concept of `determinism' to be as fundamental as it is frequently held to be (as he told me emphatically many times) …he disputes that he uses as a criterion for the admissibility of a theory the question "Is it rigorously deterministic? "… he was not at all annoyed with you, but only said that you were a person who will not listen. The Albert Einstein Memorial, Washington DC at the National Academy of Sciences in Washington, DC.Many of Einstein's comments indicate his belief that quantum mechanics is 'incomplete'. This was first asserted in the famous 1935 Einstein, Podolsky, Rosen (EPR paradox) paper, and it appears again in the 1949 book Albert Einstein, Philosopher-Scientist. The "EPR" paper — entitled "Can Quantum Mechanical Description of Physical Reality Be Considered Complete?" — concluded: "While we have thus shown that the wave function does not provide a complete description of the physical reality, we left open the question of whether or not such a description exists. We believe, however, that such a theory is possible." Rather than considering a system which comprises only a radioactive atom (and its process of transformation), one considers a system which includes also the means for ascertaining the radioactive transformation — for example, a Geiger-counter with automatic registration mechanism. Let this include a registration-strip, moved by a clockwork, upon which a mark is made by tripping the counter. True, from the point of view of quantum mechanics this total system is very complex and its configuration space is of very high dimension. But there is in principle no objection to treating this entire system from the standpoint of quantum mechanics. Here too the theory determines the probability of each configuration of all coordinates for every time instant. If one considers all configurations of the coordinates, for a time large compared with the average decay time of the radioactive atom, there will be (at most) one such registration-mark on the paper strip. To each co-ordinate- configuration must correspond a definite position of the mark on the paper strip. But, inasmuch as the theory yields only the relative probability of the thinkable coordinate-configurations, it also offers only relative probabilities for the positions of the mark on the paperstrip, but no definite location for this mark. …If we attempt [to work with] the interpretation that the quantum-theoretical description is to be understood as a complete description of the individual system, we are forced to the interpretation that the location of the mark on the strip is nothing which belongs to the system per se, but that the existence of that location is essentially dependent upon the carrying out of an observation made on the registration-strip. Such an interpretation is certainly by no means absurd from a purely logical point of standpoint; yet there is hardly anyone who would be inclined to consider it seriously. For, in the macroscopic sphere it simply is considered certain that one must adhere to the program of a realistic description in space and time; whereas in the sphere of microscopic situations, one is more readily inclined to give up, or at least to modify, this program." Einstein never rejected probabilistic techniques and thinking, in and of themselves. Einstein himself was a great statistician, using statistical analysis in his works on Brownian motion and photoelectricity and in papers published before 1905; Einstein had even discovered Gibbs ensembles. According to the majority of physicists, however, he believed that indeterminism constituted a criteria for strong objection to a physical theory. Pauli's testimony contradicts this, and Einstein's own statements indicate a focus on incompleteness, as his major concern. More recent times have given us another twist to this business. John Stewart Bell discovered further interesting results (Bell's Theorem and Bell's inequality) in his researches on the Einstein, Podolsky, and Rosen paper. There is a divergence in thinking as to the conclusions derivable from this, in conjunction with the EPR analysis. According to Bell, quantum nonlocality has been established, while others see the death of determinism. Whatever his inner convictions, Einstein agreed that the quantum theory was the best available, but he looked for a more "complete" explanation, i.e., either more deterministic or one that could more fundamentally explain the reason for probabilities in a logical way. He could not abandon the belief that physics described the laws that govern "real things", nor could he abandon the belief that there are no explanations that contain contradictions, which had driven him to his successes explaining photons, relativity, atoms, and gravity. In 1924, Einstein received a short paper from a young Indian physicist named Satyendra Nath Bose describing light as a gas of photons and asking for Einstein's assistance in publication. Einstein realized that the same statistics could be applied to atoms, and published an article in German (then the lingua franca of physics) which described Bose's model and explained its implications. Bose-Einstein statistics now describe any assembly of these indistinguishable particles known as bosons. The Bose-Einstein condensate phenomenon was predicted in the 1920s by Bose and Einstein, based on Bose's work on the statistical mechanics of photons, which was then formalized and generalized by Einstein. The first such condensate in alkali gases was produced by Eric Cornell and Carl Wieman in 1995 at the University of Colorado at Boulder, though Bose-Einstein Condensation has been observed in superfluid Helium-4 since the 1930s. Einstein's original sketches on this theory were recovered in August 2005 in the library of Leiden University. Einstein and Szilárd's patent diagram for the Einstein refrigerator.In 1926, Einstein and former student Leó Szilárd co-invented the Einstein refrigerator. On November 11, 1930, U.S. Patent 1,781,541 was awarded to Albert Einstein and Leó Szilárd for the refrigerator. The patent covered a thermodynamic refrigeration cycle providing cooling with no moving parts, at a constant pressure, with only heat as an input. The refrigeration cycle used ammonia, butane, and water. When Adolf Hitler came to power in January 1933, Einstein was a guest professor at Princeton University, a position which he took in December 1932, after an invitation from the American educator, Abraham Flexner. In 1933, the Nazis passed "The Law of the Restoration of the Civil Service," which forced all Jewish university professors out of their jobs. Throughout the 1930s, a campaign to label Einstein's work as "Jewish physics"—in contrast with "German" or "Aryan physics"—was led by Nobel laureates Philipp Lenard and Johannes Stark. With the assistance of the SS, the Deutsche Physik supporters worked to publish pamphlets and textbooks denigrating Einstein's theories and attempted to politically blacklist German physicists who taught them, notably Werner Heisenberg. Einstein renounced his Prussian citizenship and stayed in the United States, where he was given permanent residency. He accepted a position at the newly founded Institute for Advanced Study in Princeton, New Jersey, where he concentrated on developing a unified field theory (see below). Einstein became an American citizen in 1940, though he still retained Swiss citizenship. In 1939, under the encouragement of Szilárd, Einstein sent a letter to President Franklin Delano Roosevelt urging the study of nuclear fission for military purposes, under fears that the Nazi government would be first to develop nuclear weapons. Roosevelt started a small investigation into the matter which eventually became the massive Manhattan Project. Einstein himself did not work on the bomb project, however, and, according to Linus Pauling, he later regretted having signed this letter. The International Rescue Committee was founded in 1933 at the request of Albert Einstein to assist opponents of Adolf Hitler. In 1948, Einstein served on the original committee which resulted in the founding of Brandeis University. A portrait of Einstein was taken by Yousuf Karsh on February 11 of that same year. In 1952, the Israeli government proposed to Einstein that he take the post of second president. He declined the offer, and is believed to be the only United States citizen ever to have been offered a position as a foreign head of state. Einstein's refusal might have stemmed from his disapproval of some of the Israeli policies during the war of independence. In a letter he signed, along with other Jewish leaders in the U.S., he criticised the Freedom Party under the leadership of Menachem Begin for "Nazi and Fascist" methods and philosophy. On March 30, 1953, Einstein released a revised unified field theory. He died at 1:15 AM in Princeton hospital in Princeton, New Jersey, on April 18, 1955 at the age of 76 from internal bleeding, which was caused by the rupture of an aortic aneurism, leaving the Generalized Theory of Gravitation unsolved. The only person present at his deathbed, a hospital nurse, said that just before his death he mumbled several words in German that she did not understand. He was cremated without ceremony on the same day he died at Trenton, New Jersey, in accordance with his wishes. His ashes were scattered at an undisclosed location. An autopsy was performed on Einstein by Dr. Thomas Stoltz Harvey, who removed and preserved his brain. Harvey found nothing unusual with his brain, but in 1999 further analysis by a team at McMaster University revealed that his parietal operculum region was missing and, to compensate, his inferior parietal lobe was 15% wider than normal. The inferior parietal region is responsible for mathematical thought, visuospatial cognition, and imagery of movement. Einstein's brain also contained 73% more glial cells than the average brain. I came — though the child of entirely irreligious (Jewish) parents — to a deep religiousness, which, however, reached an abrupt end at the age of twelve. I do not think that it is necessarily the case that science and religion are natural opposites. In fact, I think that there is a very close connection between the two. Further, I think that science without religion is lame and, conversely, that religion without science is blind. Both are important and should work hand-in-hand. A Jew who sheds his faith along the way, or who even picks up a different one, is still a Jew. As an adult, he called his religion a "cosmic religious sense". You will hardly find one among the profounder sort of scientific minds without a peculiar religious feeling of his own. But it is different from the religion of the naive man. For the latter God is a being from whose care one hopes to benefit and whose punishment one fears; a sublimation of a feeling similar to that of a child for its father, a being to whom one stands to some extent in a personal relation, however deeply it may be tinged with awe. But the scientist is possessed by the sense of universal causation. The future, to him, is every whit as necessary and determined as the past. There is nothing divine about morality, it is a purely human affair. His religious feeling takes the form of a rapturous amazement at the harmony of natural law, which reveals an intelligence of such superiority that, compared with it, all the systematic thinking and acting of human beings is an utterly insignificant reflection. In response to the telegrammed question of New York's Rabbi Herbert S. Goldstein in 1929: "Do you believe in God? Stop. Answer paid 50 words." Einstein replied "I believe in Spinoza's God, Who reveals Himself in the lawful harmony of the world, not in a God Who concerns Himself with the fate and the doings of mankind." Note that Einstein replied in only 25 (German) words. Spinoza was a naturalistic pantheist. In the "Copenhagen Interpretation" section (1.3.2) above, reference was made to the disagreement regarding Einstein's actual position regarding the quantum theory. The famous quotation "God does not play dice" is often used to support the majority view that he disliked the theory due to its indeterminism. Others make the case for a different view. They note that the 1926 "Dice" quotation occurred when the quantum theory was just in its first year of discovery and in the subsequent 30 years of his life, one would be hard pressed to find a similar comment from the man. Instead Einstein focused on the conceptually independent subject of 'incompleteness'. This attention is shown both in his 1935 "EPR" paper, and in his 1949 Geiger counter registration strip thought-experiment (see section 1.3.2.2). Further evidence against the "Einstein-determinist" view is W. Pauli's quotation: "he (Einstein) disputes that he uses as a criterion for the admissibility of a theory the question 'Is it rigorously deterministic?'". I think that the things which impressed me most were the simplicity of his thinking and his faith in the ability of the human mind to understand the workings of nature. Throughout his life, Einstein believed the human reason was capable of leading to theories that would provide correct descriptions of physical phenomena. In building a theory, his approach had something in common with that of an artist; he would aim for simplicity and beauty (and beauty for him was, after all, essentially simplicity). The crucial question that he would ask, when weighing an element of a theory was: "Is it reasonable?" No matter how successful a theory appeared to be, if it seemed to him not to be reasonable (the German word that he used was "vernunftig"), he was convinced that the theory could not provide a really fundamental understanding of nature. .Einstein considered himself a pacifist and humanitarian, and in later years, a committed democratic socialist. He once said, "I believe Gandhi's views were the most enlightened of all the political men of our time. We should strive to do things in his spirit: not to use violence for fighting for our cause, but by non-participation of anything you believe is evil." Deeply influenced by Gandhi, Einstein once said of Gandhi, "Generations to come will scarce believe that such a one as this ever in flesh and blood walked upon this earth." Einstein's views were sometimes controversial. In a 1949 article entitled "Why Socialism? ", Albert Einstein described the "predatory phase of human development", exemplified by a chaotic capitalist society, as a source of evil to be overcome. He disapproved of the totalitarian regimes in the Soviet Union and elsewhere, and argued in favor of a democratic socialist system which would combine a planned economy with a deep respect for human rights. Einstein was a co-founder of the liberal German Democratic Party and a member of the AFL-CIO-affiliated union the American Federation of Teachers. Einstein was very much involved in the Civil Rights movement. He was a close friend of Paul Robeson for over 20 years. Einstein was a member of several civil rights groups (including the Princeton chapter of the NAACP) many of which were headed by Paul Robeson. He served as co-chair with Paul Robeson of the American Crusade to End Lynching. When W.E.B. DuBois was frivolously charged with being a communist spy during the McCarthy era while he was in his 80s, Einstein volunteered as a character witness in the case. The case was dismissed shortly after it was announced that he was to appear in that capacity. Einstein was quoted as saying that "racism is America's greatest disease". 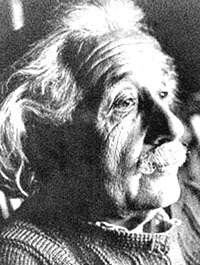 The U.S. FBI kept a 1,427 page file on his activities and recommended that he be barred from immigrating to the United States under the Alien Exclusion Act, alleging that Einstein "believes in, advises, advocates, or teaches a doctrine which, in a legal sense, as held by the courts in other cases, 'would allow anarchy to stalk in unmolested' and result in 'government in name only'", among other charges. They also alleged that Einstein "was a member, sponsor, or affiliated with thirty-four communist fronts between 1937 and 1954" and "also served as honorary chairman for three communist organizations". Many of the documents in the file were submitted to the FBI, mainly by civilian political groups, and not written by the FBI. In 1939, Einstein signed a letter, written by Leó Szilárd, to President Roosevelt arguing that the United States should start funding research into the development of nuclear weapons.Einstein opposed tyrannical forms of government, and for this reason (and his Jewish background), opposed the Nazi regime and fled Germany shortly after it came to power. 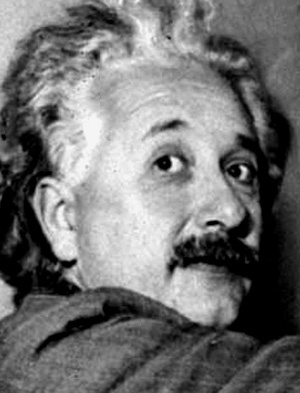 Einstein initially favored construction of the atomic bomb, in order to ensure that Hitler did not do so first, and even sent a letter to President Roosevelt (dated August 2, 1939, before World War II broke out, and probably written by Leó Szilárd) encouraging him to initiate a program to create a nuclear weapon. Roosevelt responded to this by setting up a committee for the investigation of using uranium as a weapon, which in a few years was superseded by the Manhattan Project. After the war, though, Einstein lobbied for nuclear disarmament and a world government: "I do not know how the Third World War will be fought, but World War IV will be fought with sticks and stones." A 5 Israeli pound note from 1968 with the portrait of Einstein.While Einstein was a supporter of Zionism in the cultural sense, he often expressed reservations regarding its application in terms of nationalism. During a speech at the Commodore Hotel in New York, he told the crowd "My awareness of the essential nature of Judaism resists the idea of a Jewish state with borders, an army, and a measure of temporal power, no matter how modest. I am afraid of the inner damage Judaism will sustain." He also signed an open letter published in the New York Times condemning Menachem Begin and his nationalistic Herut party, especially for the treatment of the indigenous Arabs at Deir Yassin by Herut’s predecessor Irgun. Despite these reservations, he was active in the establishment of the Hebrew University in Jerusalem, which published (1930) a volume titled About Zionism: Speeches and Lectures by Professor Albert Einstein, and to which Einstein bequeathed his papers. In later life, in 1952, he was offered the post of second president of the newly created state of Israel, but declined the offer, saying that he lacked the necessary people skills. However, Einstein was deeply committed to the welfare of Israel and the Jewish people for the rest of his life. 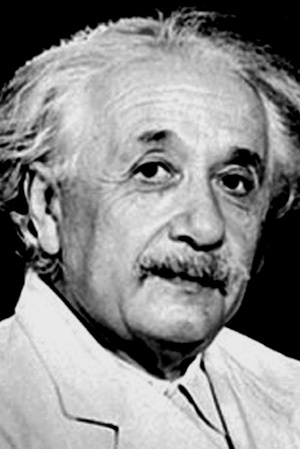 Albert Einstein was closely associated with plans for what the press called "a Jewish-sponsored non-quota university," from August 19, 1946, with the announcement of the formation of the Albert Einstein Foundation for Higher Learning, Inc. until June 22, 1947, when he withdrew support and barred the use of his name by the foundation. The university opened in 1948 as Brandeis University. Einstein, along with Albert Schweitzer and Bertrand Russell, fought against nuclear tests and bombs. As his last public act, and just days before his death, he signed the Russell-Einstein Manifesto, which led to the Pugwash Conferences on Science and World Affairs. Einstein was born a German citizen. At the age of 17, on January 28, 1896, he was released from his German citizenship by his own request and with the approval of his father. He remained stateless for five years. On February 21, 1901, he gained Swiss citizenship, which he never revoked. Einstein obtained Prussian citizenship in April 1914 when he entered the Prussian civil service, but due to the political situation and the persecution of Jewish people in Nazi Germany, he left civil service in March 1933 and thus also lost the Prussian citizenship. On October 1, 1940, Einstein became an American citizen. He remained both an American and a Swiss citizen until his death on April 18, 1955. According to "A Ranking of the Most Influential Persons in History", Einstein is "the greatest scientist of the twentieth century and one of the supreme intellects of all time". His popularity has also led to widespread use of Einstein's image in advertising and merchandising, including the registration of "Albert Einstein" as a trademark. Albert Einstein has been the subject of and inspiration for a number of novels, films and plays, including Jean-Claude Carrier's 2005 French novel, Einstein S'il Vous Plait (Please Mr Einstein), Nicolas Roeg's film Insignificance, Fred Schepisi's film I.Q. (where he was portrayed by Walter Matthau), Alan Lightman's collection of short stories Einstein's Dreams, and Steve Martin's comedic play Picasso at the Lapin Agile. He was the subject of Philip Glass's groundbreaking 1976 opera Einstein on the Beach. His humorous side is also the subject of Ed Metzger's one-man play Albert Einstein: The Practical Bohemian. He is often used as a model for depictions of mad scientists and absent-minded professors in works of fiction; his own character and distinctive hairstyle suggest eccentricity, or even lunacy, and are widely copied or exaggerated. TIME magazine writer Frederic Golden referred to Einstein as "a cartoonist's dream come true." On Einstein's 72nd birthday in 1951, the UPI photographer Arthur Sasse was trying to persuade him to smile for the camera. Having done this for the photographer many times that day, Einstein stuck out his tongue instead. The image has become an icon in pop culture for its contrast of the genius scientist displaying a moment of levity. Yahoo Serious, an Australian film maker, used the photo as an inspiration for the intentionally anachronistic movie Young Einstein. The image is also used in a poster used in the UK as part of dyslexia education, which has a string of posters showing great scientists, thinkers and artists and talks about the unfounded (not specified within the posters) claims that they had/have dyslexia. There are innumerable speculations which suggest that Einstein was a poor student, a slow learner, or had a form of autism (such as High-functioning autism, or Asperger syndrome), dyslexia, and/or attention-deficit hyperactivity disorder. According to the biography by Pais (page 36, among others), such speculations are unfounded. Some researchers have periodically claimed otherwise, but most historians and doctors are skeptical of retrospective medical diagnoses, especially for complex and, in the case of ADHD, diagnostically-controversial conditions. Examinations of Albert Einstein's brain after his death have not produced any conclusive evidence of any particular condition. .The recurring rumor that Einstein failed in mathematics during his education is untrue. On the contrary, Einstein always showed great talent at mathematics; when he obtained his matura, he obtained the best mark (6/6) in algebra, geometry, physics and history, among all of the classes that he took. The grading system of Switzerland, where 6 is the best mark, may have been confused with the German system, in which 1 is the best mark. As can be seen from his Matura grades, indicated in the graphic to the right (also found in "Einstein: A Hundred Years of Relativity" by W. Andrew Robinson, p.27), Albert Einstein did receive poor grades (4/6) in drawing, (both artistic- and technical) and geography. His performance (5/6) in all other subjects studied in high school, namely Natural history, German literature and Italian literature as well as chemistry, was significantly above average. Einstein also completed English studies, for which he received no grade. One may reasonably presume that Einstein only excelled in the subjects he deemed relevant or necessary to pursue his scientific interests. As for Einstein's childhood trait of delayed speech development, a few have speculated that Einstein had elective mutism and may have refused to speak until he could do so in complete sentences. Though this concept fits with a profile of a sensitive perfectionist (when Einstein did begin to speak, he would often softly "rehearse" what he meant to say before uttering the statement outright), it is somewhat dated insofar as selective mutism- as it is now known- is no longer considered to be a matter of willful silence: it presently refers to individuals with verbal ability who cannot speak in certain social circumstances. This would not apply to Einstein, who could not speak at all until the time that he did. 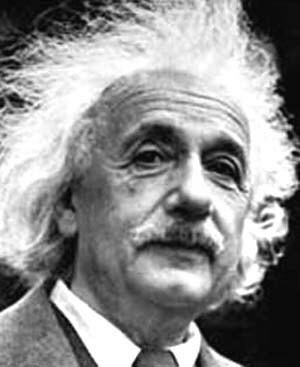 According to neuroscientist Steven Pinker, the autopsy of Einstein's brain exhibited a more likely possibility that Einstein, as a child, had been displaying a lesser known type of speech delay relating to extraordinary and rapid prenatal development of areas of the brain responsible for spatial and analytical reasoning which, in competing for "brain real estate", had temporarily robbed resources from functions of the brain responsible for speech development. 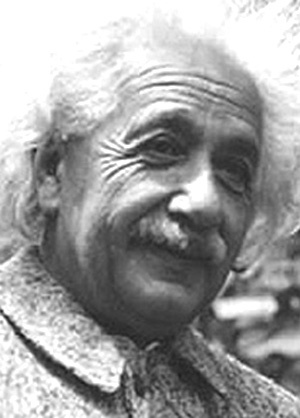 Pinker and others have extended this speculation to explain the asynchronous development of other famously gifted late-talkers, such as mathematician Julia Robinson, pianists Arthur Rubinstein and Clara Schumann, and physicists Richard Feynman and Edward Teller, to name a few, who were also said to have shared several of Einstein's other childhood peculiarities, such as monumental tantrums, rugged individualism and highly selective interests. A syndrome — the "Einstein syndrome" — was even coined by journalist and economist Thomas Sowell as a non-pathologizing means to describe this series of traits seen in a small percentage (though how small is debatable) of late-talking children who go on to develop into analytically advanced and socially conscious adults without (or in spite of) intense therapeutic intervention. Letters written by Einstein to his relatives and kept at the Hebrew University of Jerusalem, have revealed that during the course of his life, he had a dozen lovers, two of whom he married. Barbara Wolff of the Hebrew University's Albert Einstein Archives has made public about 3,500 pages of correspondence including letters to his first and second wives and children between the years 1912–1955. In letters to his second wife Elsa and her daughter Margot he claimed that he had been showered with unwanted attention from women. One of his lovers, a Berlin socialite Ethel Michanowski, "followed me [to England], and her chasing me is getting out of control." His son Eduard's schizophrenia troubled Einstein greatly, and he often expressed the idea that it would have been better if Eduard had not been born. He adored his stepdaughter and in a letter to Elsa in 1924, he writes: "I love her [Margot] as much as if she were my own daughter, perhaps even more so, since who knows what kind of brat she would have become [had I fathered her]." The letters have been claimed as evidence to dispel myths that Einstein was cold toward his family. Einstein bequeathed his estate, as well as the use of his image (see personality rights), to the Hebrew University of Jerusalem. Einstein actively supported the university during his life and this support continues with the royalties received from licensing activities. The Roger Richman Agency licences the commercial use of the name "Albert Einstein" and associated imagery and likenesses of Einstein, as agent for the Hebrew University of Jerusalem. As head licensee the agency can control commercial usage of Einstein's name which does not comply with certain standards (e.g., when Einstein's name is used as a trademark, the ™ symbol must be used). As of May, 2005, the Roger Richman Agency was acquired by Corbis. In 1999, he was named Person of the Century by TIME magazine. Also in 1999, Gallup Poll recorded him as the fourth most admired person of the 20th century. The year 2005 was designated as the "World Year of Physics" by UNESCO for its coinciding with the centennial of the "Annus Mirabilis" papers. The National Academy of Sciences commissioned the "Albert Einstein Memorial", a monumental bronze sculptor by Robert Berks, at its Washington, D.C. campus, adjacent to the National Mall. a unit used in photochemistry, the einstein. the chemical element 99, einsteinium. the Albert Einstein Peace Prize. the Albert Einstein College of Medicine of Yeshiva University opened in 1955.
the Albert Einstein Medical Center in Philadelphia, Pennsylvania. The German-American physicist Albert Einstein, b. Ulm, Germany, Mar. 14, 1879, d. Princeton, N.J., Apr. 18, 1955, contributed more than any other scientist to the 20th-century vision of physical reality. In the wake of World War I, Einstein's theories--especially his theory of relativity--seemed to many people to point to a pure quality of human thought, one far removed from the war and its aftermath. Seldom has a scientist received such public attention for having cultivated the fruit of pure learning. Einstein's parents, who were nonobservant Jews, moved from Ulm to Munich when Einstein was an infant. The family business was the manufacture of electrical apparatus; when the business failed (1894), the family moved to Milan, Italy. At this time Einstein decided officially to relinquish his German citizenship. Within a year, still without having completed secondary school, Einstein failed an examination that would have allowed him to pursue a course of study leading to a diploma as an electrical engineer at the Swiss Federal Institute of Technology (the Zurich Polytechnic). He spent the next year in nearby Aarau at the cantonal secondary school, where he enjoyed excellent teachers and first-rate facilities in physics. Einstein returned in 1896 to the Zurich Polytechnic, where he graduated (1900) as a secondary school teacher of mathematics and physics. After a lean two years he obtained a post at the Swiss patent office in Bern. The patent-office work required Einstein's careful attention, but while employed (1902-09) there, he completed an astonishing range of publications in theoretical physics. For the most part these texts were written in his spare time and without the benefit of close contact with either the scientific literature or theoretician colleagues. Einstein submitted one of his scientific papers to the University of Zurich to obtain a Ph.D. degree in 1905. In 1908 he sent a second paper to the University of Bern and became privatdocent, or lecturer, there. The next year Einstein received a regular appointment as associate professor of physics at the University of Zurich. By 1909, Einstein was recognized throughout German-speaking Europe as a leading scientific thinker. In quick succession he held professorships at the German University of Prague and at the Zurich Polytechnic. In 1914 he advanced to the most prestigious and best-paying post that a theoretical physicist could hold in central Europe: professor at the Kaiser-Wilhelm Gesellschaft in Berlin. Although Einstein held a cross-appointment at the University of Berlin, from this time on he never again taught regular university courses. 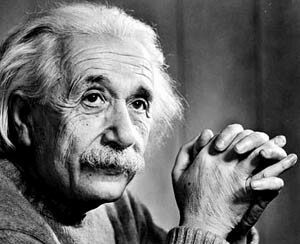 Einstein remained on the staff at Berlin until 1933, from which time until his death (1955) he held an analogous research position at the Institute for Advanced Study in Princeton, N.J. In the first of three seminal papers published in 1905, Einstein examined the phenomenon discovered by Max Planck, according to which electromagnetic energy seemed to be emitted from radiating objects in quantities that were ultimately discrete. The energy of these quantities--the so-called light-quanta--was directly proportional to the frequency of the radiation. This circumstance was perplexing because classical electromagnetic theory, based on Maxwell's equations and the laws of thermodynamics, had assumed that electromagnetic energy consisted of waves propagating in a hypothetical, all-pervasive medium called the luminiferous ether, and that the waves could contain any amount of energy no matter how small. Einstein used Planck's quantum hypothesis to describe visible electromagnetic radiation, or light. According to Einstein's heuristic viewpoint, light could be imagined to consist of discrete bundles of radiation. Einstein used this interpretation to explain the photoelectric effect, by which certain metals emit electrons when illuminated by light with a given frequency. Einstein's theory, and his subsequent elaboration of it, formed the basis for much of quantum mechanics. The second of Einstein's 1905 papers proposed what is today called the special theory of relativity. At the time Einstein knew that, according to Hendrik Antoon Lorentz's theory of electrons, the mass of an electron increased as the velocity of the electron approached the velocity of light. Einstein also knew that the electron theory, based on Maxwell's equations, carried along with it the assumption of a luminiferous ether, but that attempts to detect the physical properties of the ether had not succeeded. Einstein realized that the equations describing the motion of an electron in fact could describe the nonaccelerated motion of any particle or any suitably defined rigid body. He based his new kinematics on a reinterpretation of the classical principle of relativity--that the laws of physics had to have the same form in any frame of reference. As a second fundamental hypothesis, Einstein assumed that the speed of light remained constant in all frames of reference, as required by classical Maxwellian theory. Einstein abandoned the hypothesis of the ether, for it played no role in his kinematics or in his reinterpretation of Lorentz's theory of electrons. As a consequence of his theory Einstein recovered the phenomenon of time dilatation, wherein time, analogous to length and mass, is a function of the velocity of a frame of reference ( Fitzgerald-Lorentz contraction). Later in 1905, Einstein elaborated how, in a certain manner of speaking, mass and energy were equivalent. Einstein was not the first to propose all the elements that went into the special theory of relativity; his contribution lies in having unified important parts of classical mechanics and Maxwellian electrodynamics. The third of Einstein's seminal papers of 1905 concerned statistical mechanics, a field of study that had been elaborated by, among others, Ludwig Boltzmann and Josiah Willard Gibbs. Unaware of Gibbs' contributions, Einstein extended Boltzmann's work and calculated the average trajectory of a microscopic particle buffeted by random collisions with molecules in a fluid or in a gas. Einstein observed that his calculations could account for brownian motion, the apparently erratic movement of pollen in fluids, which had been noted by the British botanist Robert Brown. Einstein's paper provided convincing evidence for the physical existence of atom-sized molecules, which had already received much theoretical discussion. His results were independently discovered by the Polish physicist Marian von Smoluchowski and later elaborated by the French physicist Jean Perrin. After 1905, Einstein continued working in all three of the above areas. He made important contributions to the quantum theory, but increasingly he sought to extend the special theory of relativity to phenomena involving acceleration. The key to an elaboration emerged in 1907 with the principle of equivalence, in which gravitational acceleration was held a priori indistinguishable from acceleration caused by mechanical forces; gravitational mass was therefore identical with inertial mass. Einstein elevated this identity, which is implicit in the work of Isaac Newton, to a guiding principle in his attempts to explain both electromagnetic and gravitational acceleration according to one set of physical laws. In 1907 he proposed that if mass were equivalent to energy, then the principle of equivalence required that gravitational mass would interact with the apparent mass of electromagnetic radiation, which includes light. By 1911, Einstein was able to make preliminary predictions about how a ray of light from a distant star, passing near the Sun, would appear to be attracted, or bent slightly, in the direction of the Sun's mass. At the same time, light radiated from the Sun would interact with the Sun's mass, resulting in a slight change toward the infrared end of the Sun's optical spectrum. At this juncture Einstein also knew that any new theory of gravitation would have to account for a small but persistent anomaly in the perihelion motion of the planet Mercury. About 1912, Einstein began a new phase of his gravitational research, with the help of his mathematician friend Marcel Grossmann, by phrasing his work in terms of the tensor calculus of Tullio Levi-Civita and Gregorio Ricci-Curbastro. The tensor calculus greatly facilitated calculations in four-dimensional space-time, a notion that Einstein had obtained from Hermann Minkowski's 1907 mathematical elaboration of Einstein's own special theory of relativity. Einstein called his new work the general theory of relativity. After a number of false starts, he published (late 1915) the definitive form of the general theory. In it the gravitational field equations were covariant; that is, similar to Maxwell's equations, the field equations took the same form in all equivalent frames of reference. To their advantage from the beginning, the covariant field equations gave the observed perihelion motion of the planet Mercury. In its original form, Einstein's general relativity has been verified numerous times in the past 60 years, especially during solar-eclipse expeditions when Einstein's light-deflection prediction could be tested. When British eclipse expeditions in 1919 confirmed his predictions, Einstein was lionized by the popular press. Einstein's personal ethics also fired public imagination. Einstein, who after returning to Germany in 1914 did not reapply for German citizenship, was one of only a handful of German professors who remained a pacifist and did not support Germany's war aims. After the war, when the victorious allies sought to exclude German scientists from international meetings, Einstein--a Jew traveling with a Swiss passport--remained an acceptable German envoy. Einstein's political views as a pacifist and a Zionist pitted him against conservatives in Germany, who branded him a traitor and a defeatist. The public success accorded his theories of relativity evoked savage attacks in the 1920s by the anti-Semitic physicists Johannes Stark and Philipp Lenard, men who after 1932 tried to create a so-called Aryan physics in Germany. Just how controversial the theories of relativity remained for less flexibly minded physicists is revealed in the circumstances surrounding Einstein's reception of a Nobel Prize in 1921--it was awarded not for relativity but for his 1905 work on the photoelectric effect. With the rise of fascism in Germany, Einstein moved (1933) to the United States and abandoned his pacifism. He reluctantly agreed that the new menace had to be put down through force of arms. In this context Einstein sent (1939) a letter to President Franklin D. Roosevelt that urged that the United States proceed to develop an atomic bomb before Germany did. The letter, composed by Einstein's friend Leo Szilard, was one of many exchanged between the White House and Einstein, and it contributed to Roosevelt's decision to fund what became the Manhattan Project. However much he appeared to the public as a champion of unpopular causes, such as his objection in the 1950s to the House Committee on Un-American Activities and his efforts toward nuclear disarmament, Einstein's central concerns always revolved around physics. At the age of 59, when other theoretical physicists would long since have abandoned original scientific research, Einstein and his co-workers Leopold Infeld and Banesh Hoffmann achieved a major new result in the general theory of relativity. Until the end of his life Einstein sought a unified field theory, whereby the phenomena of gravitation and electromagnetism could be derived from one set of equations. Few physicists followed Einstein's path in the years after 1920. Quantum mechanics, instead of general relativity, drew their attention. For his part, Einstein could never accept the new quantum mechanics with its principle of indeterminacy, as formulated by Werner Heisenberg and elaborated into a new epistemology by Niels Bohr. Although Einstein's later thoughts were neglected for decades, physicists today refer seriously and awesomely to Einstein's dream--a grand unification of physical theory.